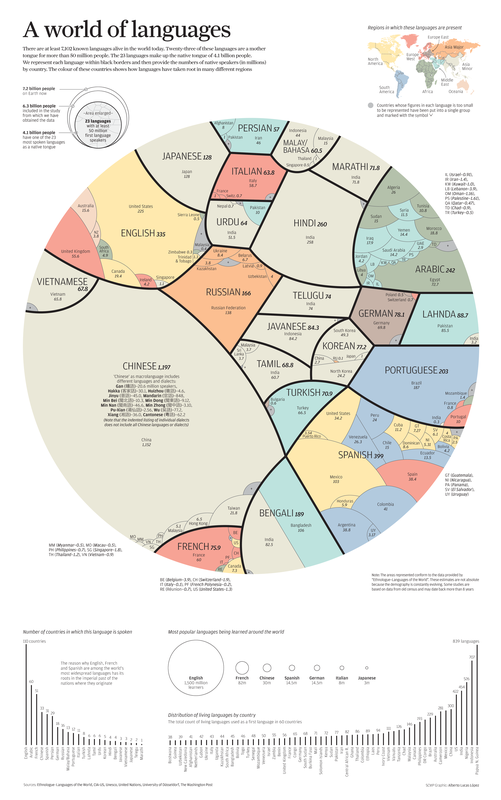 According to the data in this graphic map, the distribution of languages closely follows patterns of human migration, colonization and religious influence. The Romans spread the use of Latin across Europe and the Mediterranean basin as their empire grew. Latin has fallen out of common use but it is still the basis for many of the most frequently spoken languages. 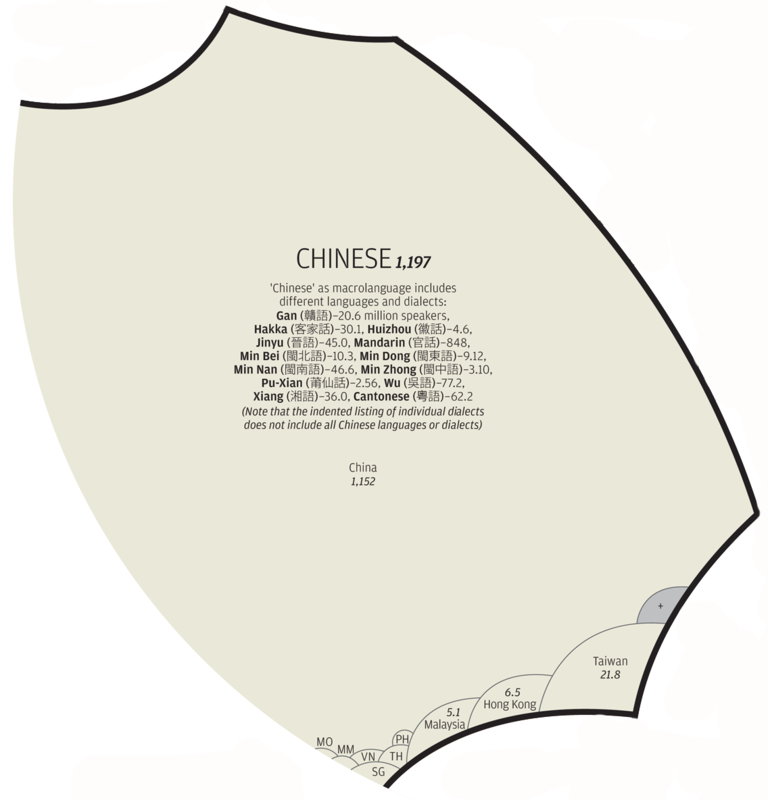 China's various dialects are the mother tongue of over a billion people. Most of them live in mainland China but there are Chinese-speakers all the way across Asia.